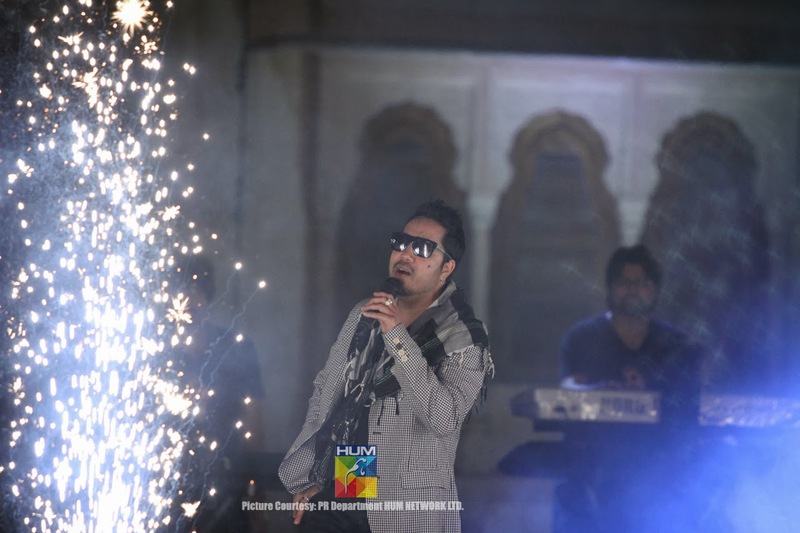 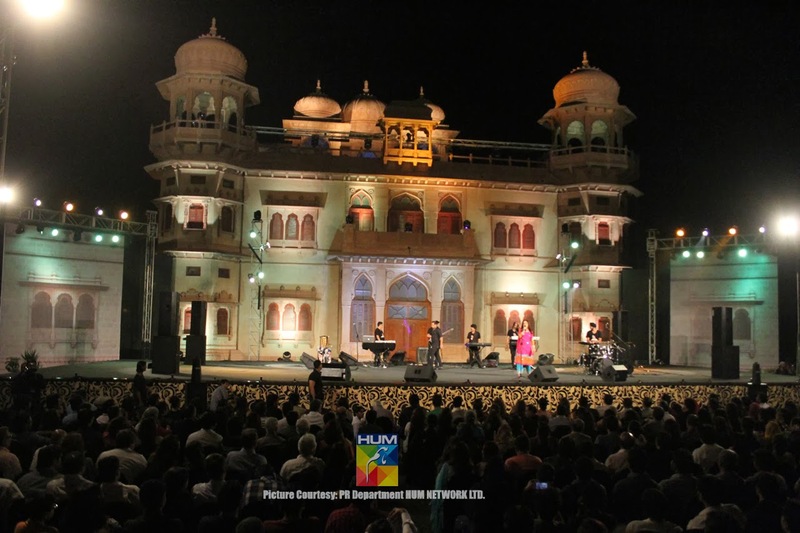 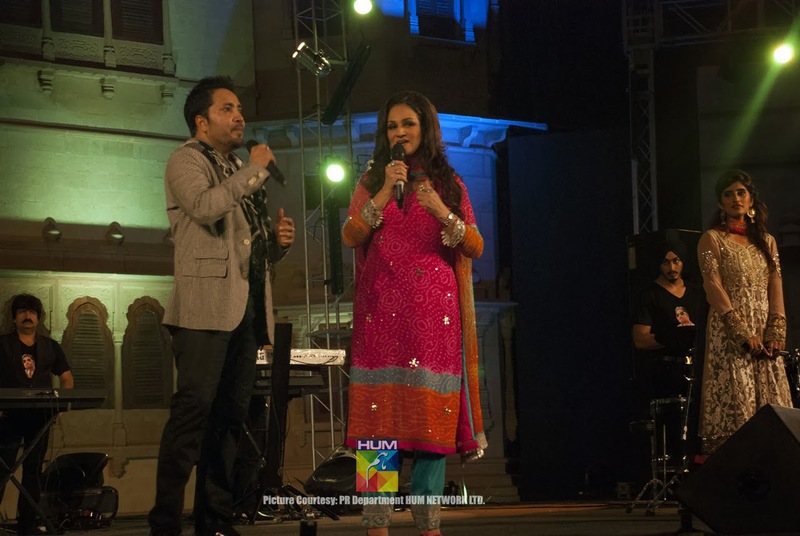 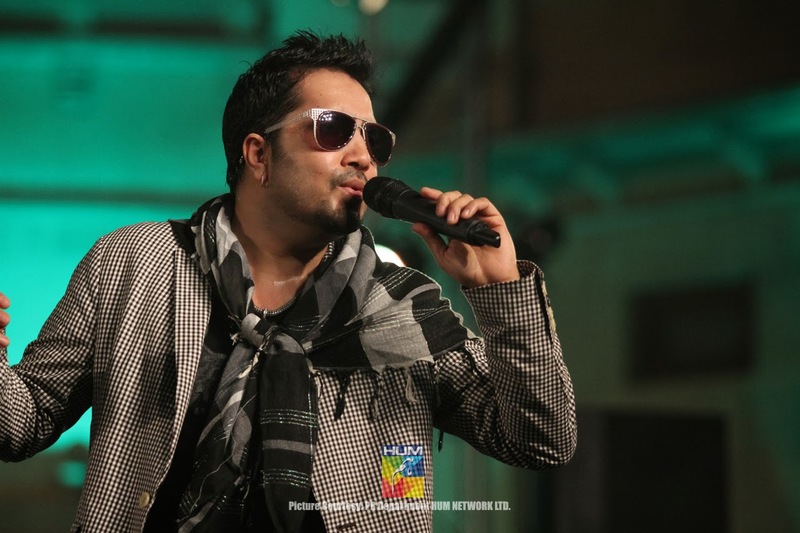 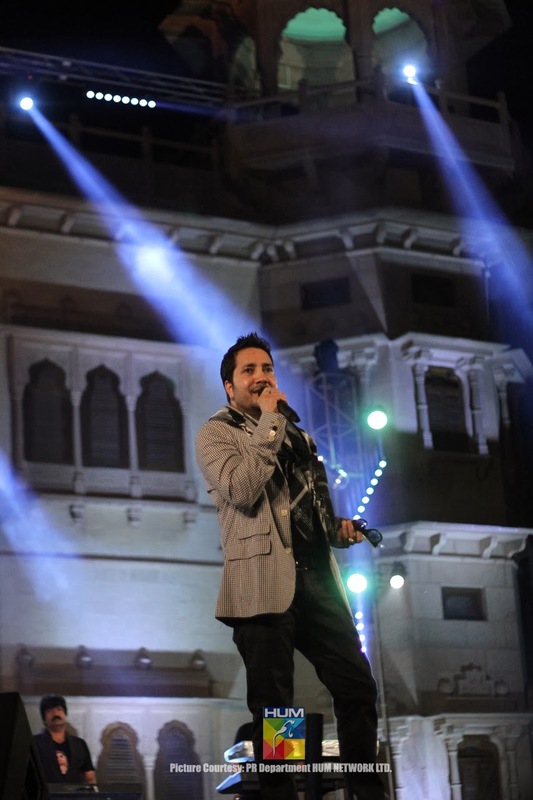 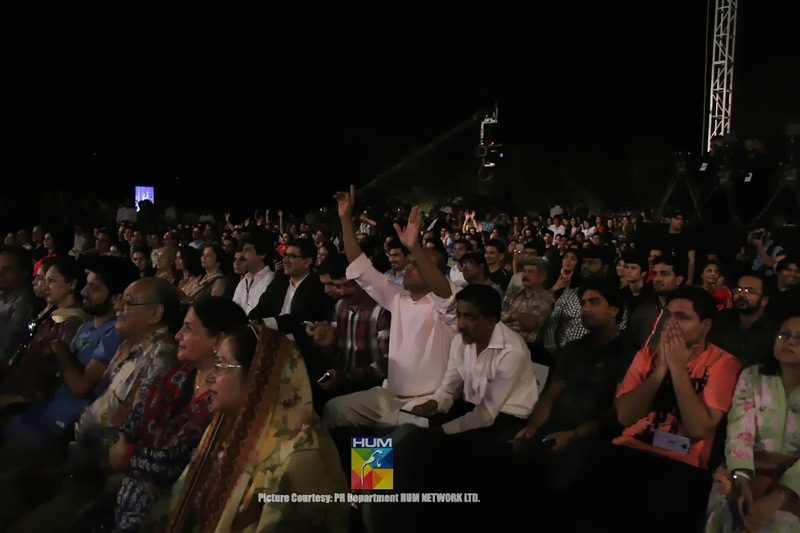 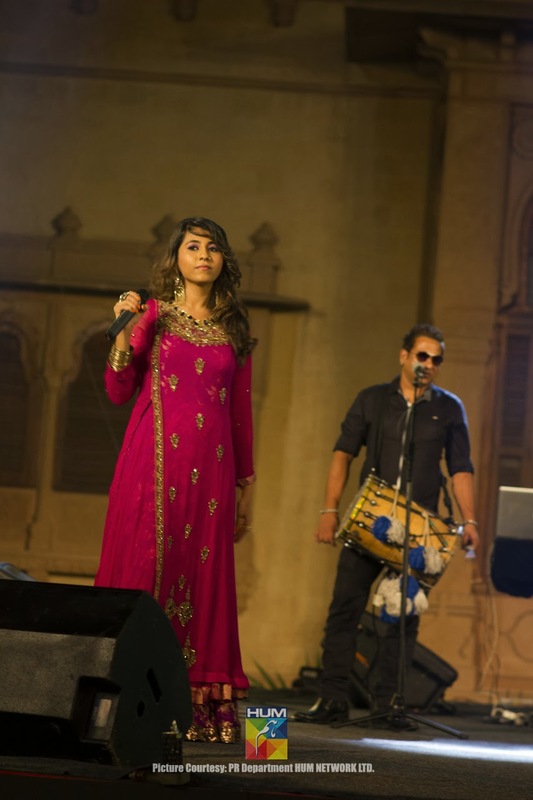 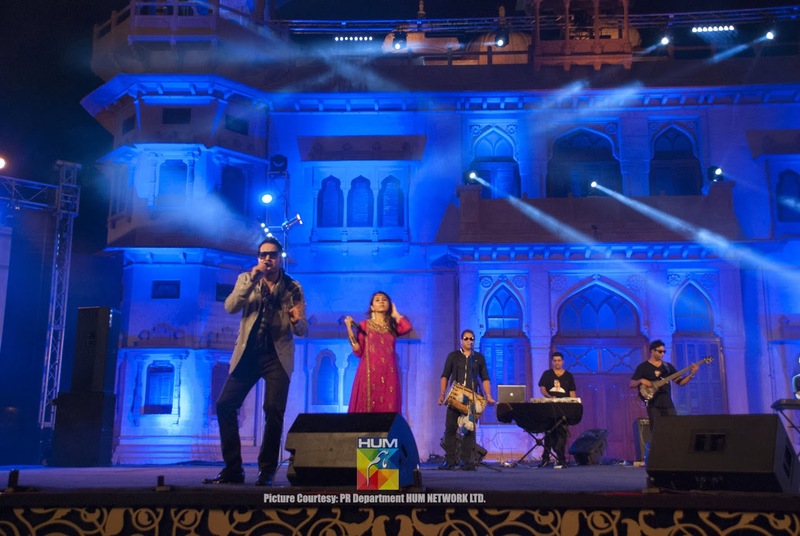 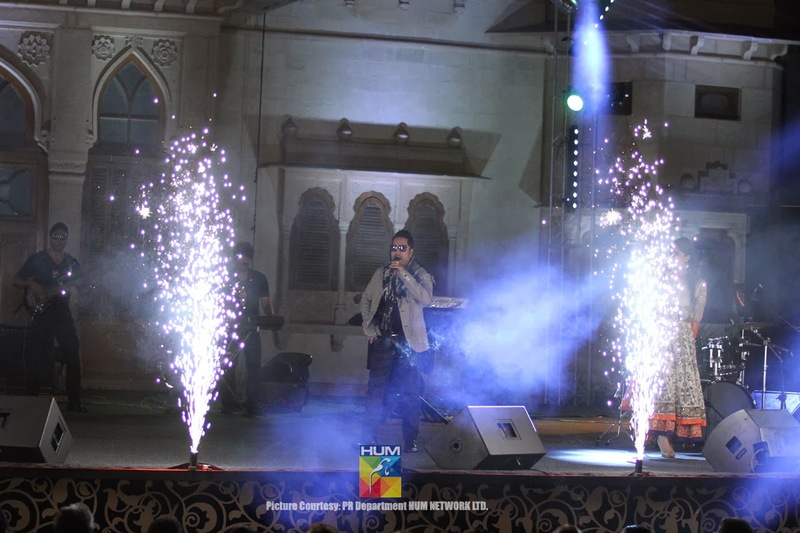 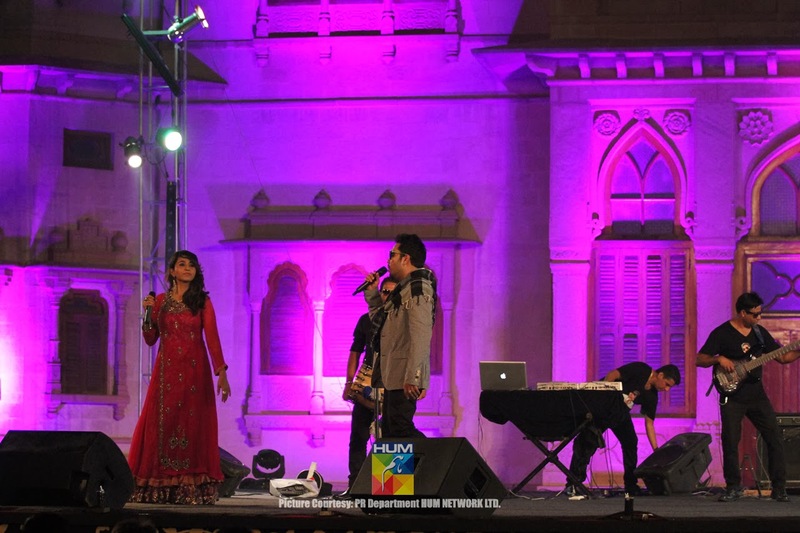 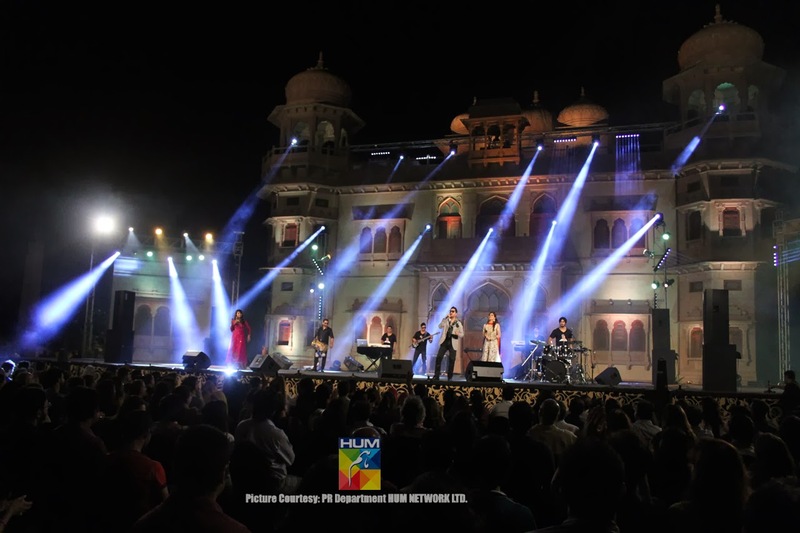 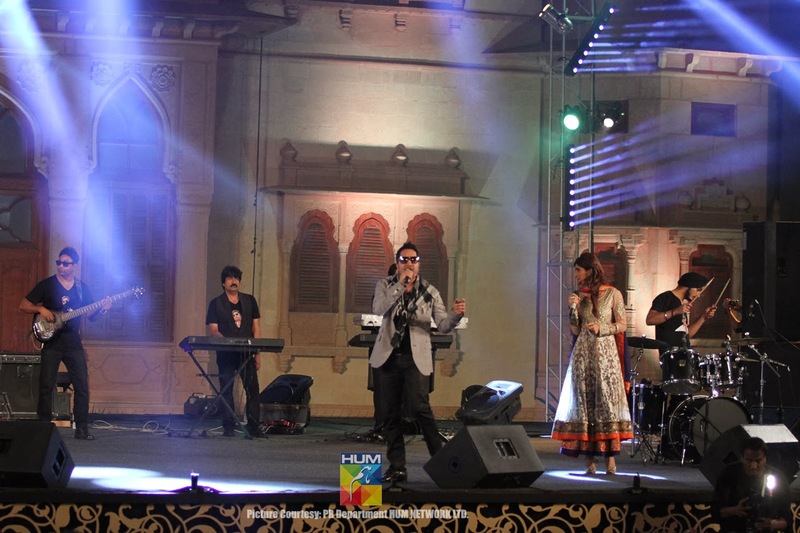 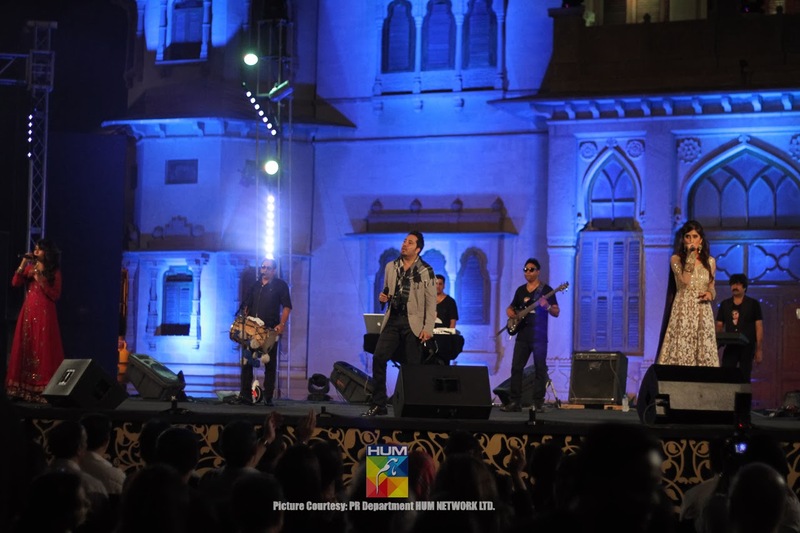 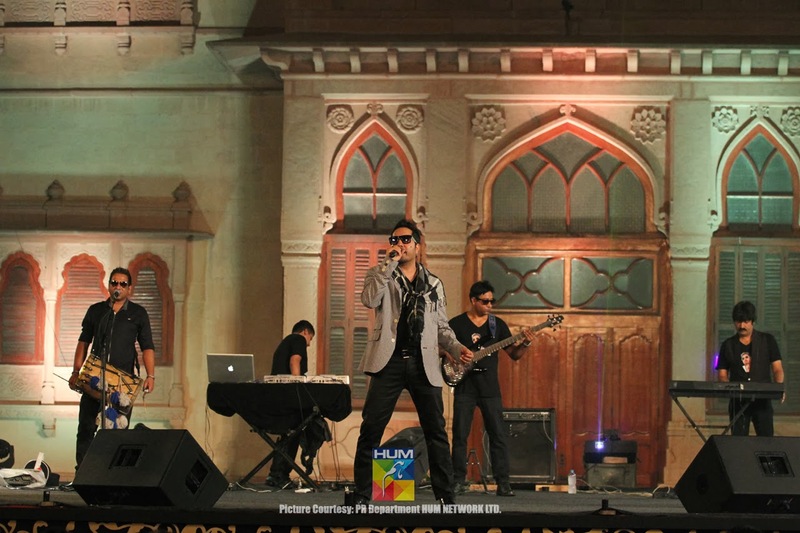 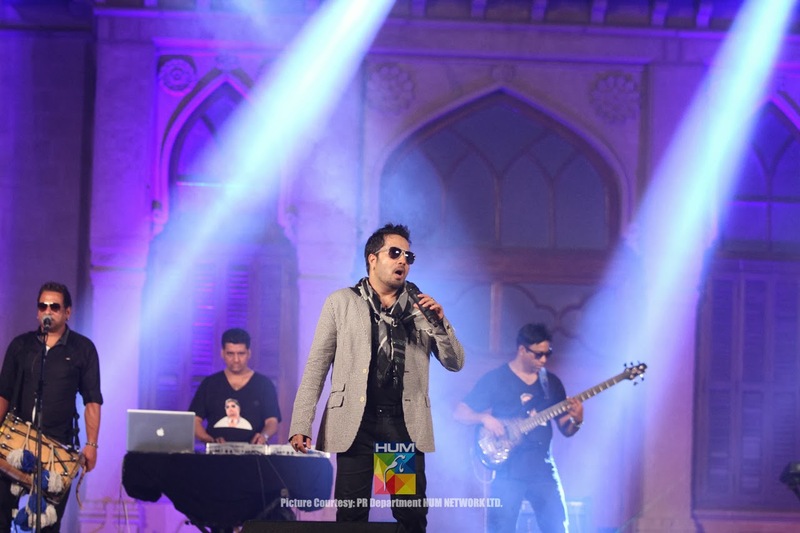 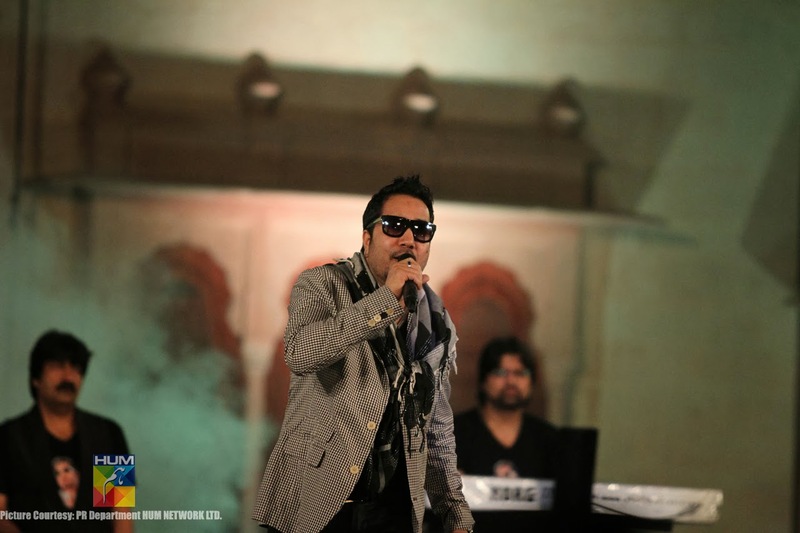 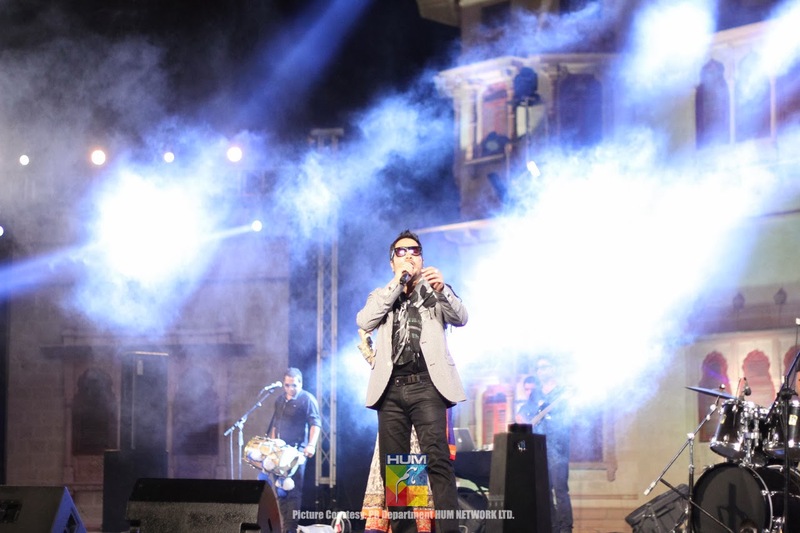 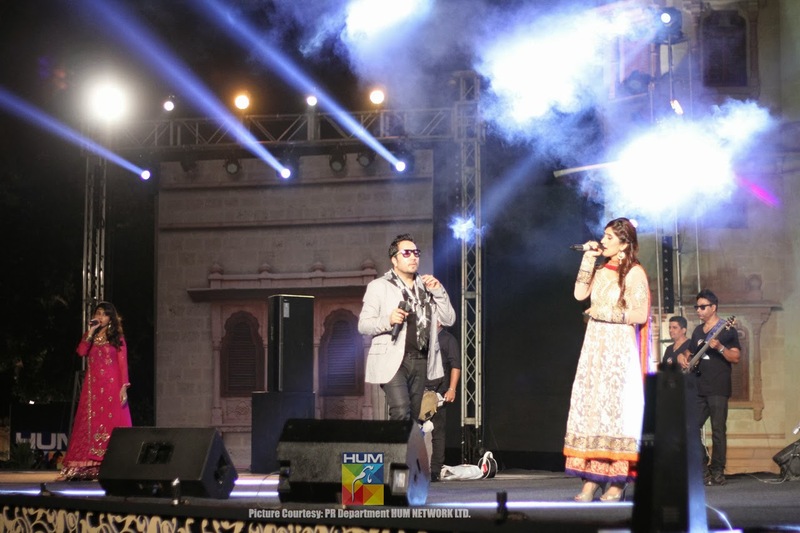 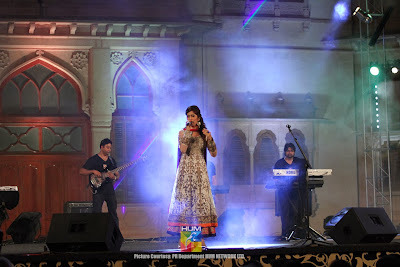 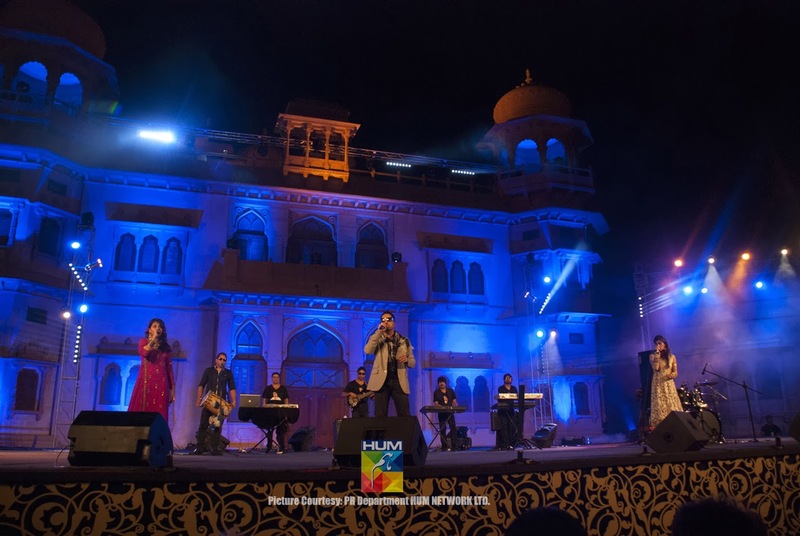 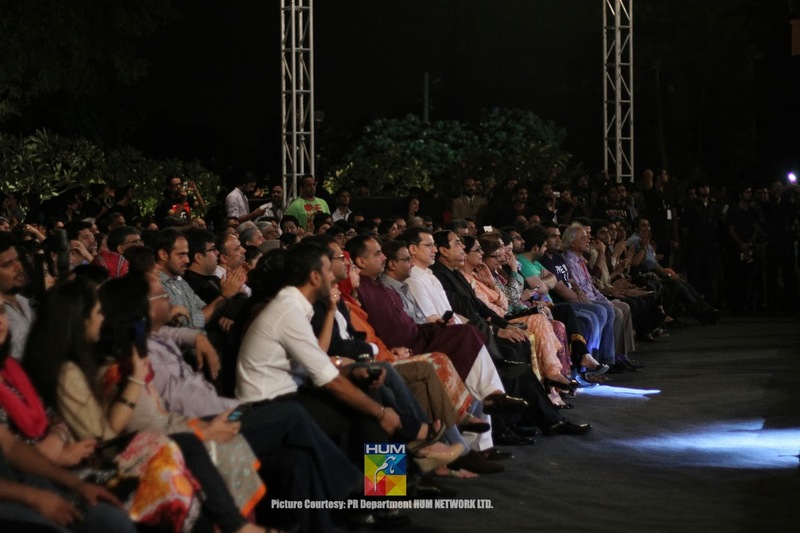 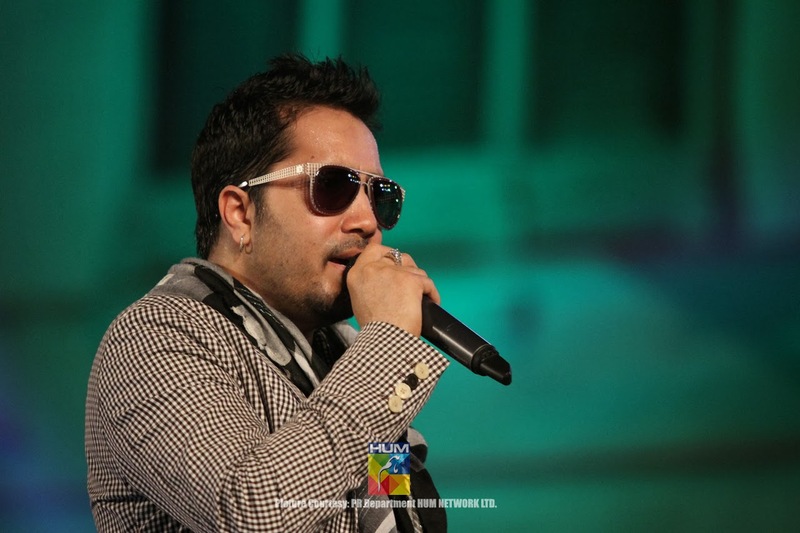 Karachi, October 31: A scintillating concert was held here yesterday against the backdrop of the majestic Mohatta Palace, featuring the Bollywood playback singer, Mika Singh and his band OCP – Out of Control Punjabis, organized by HUM TV. 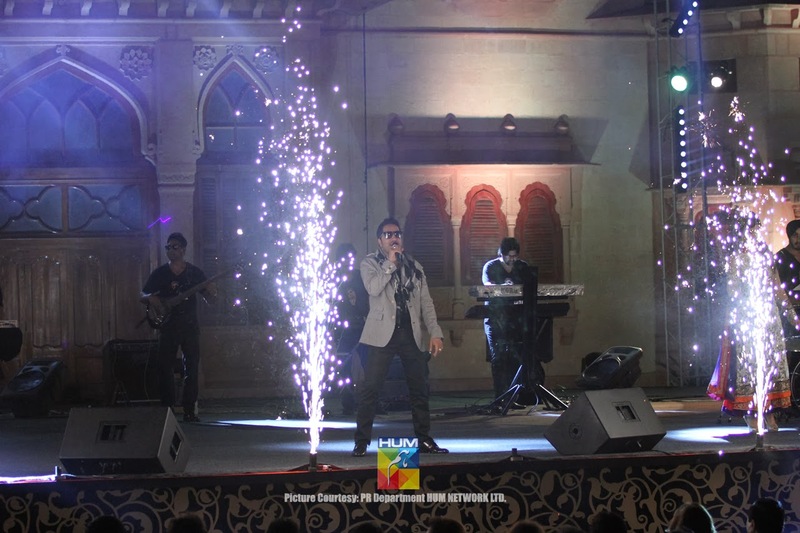 The much-awaited, invitation-only event was jam-packed with fans of Mika Singh of all ages who expressed their appreciation and enthusiasm by clapping, waving and dancing on the periphery of the lawn. 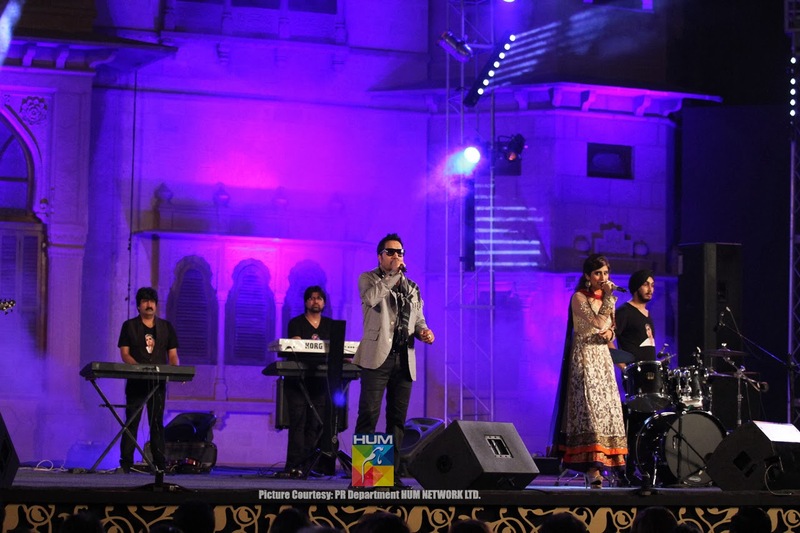 World-famous violinist and music director who has given Bollywood a number of hits, Ravi Pawar, opened the event with his instrumental rendition of ‘Aao gay jab tum sajna’. 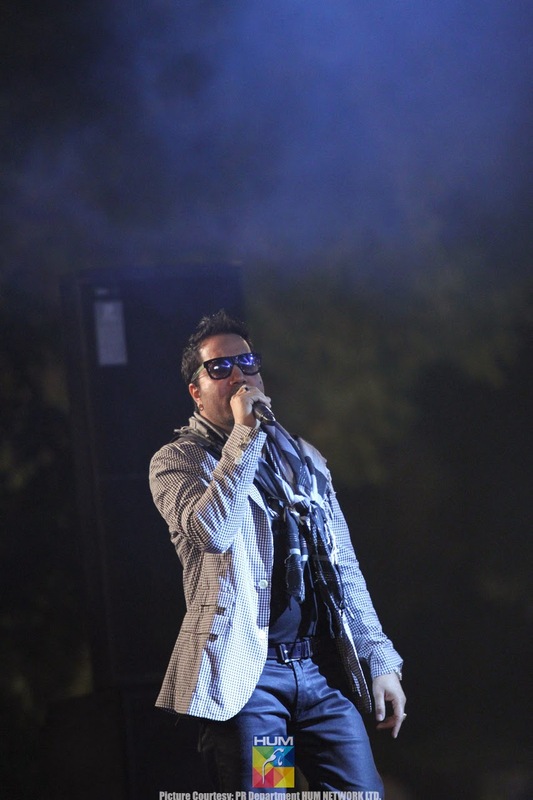 He was followed by Akasa Singh, Mika’s lead vocalist who sang ‘Jugni.’ Bushra Ansari, looking as young as ever, appeared on stage to introduce Mika Singh in her witty style. 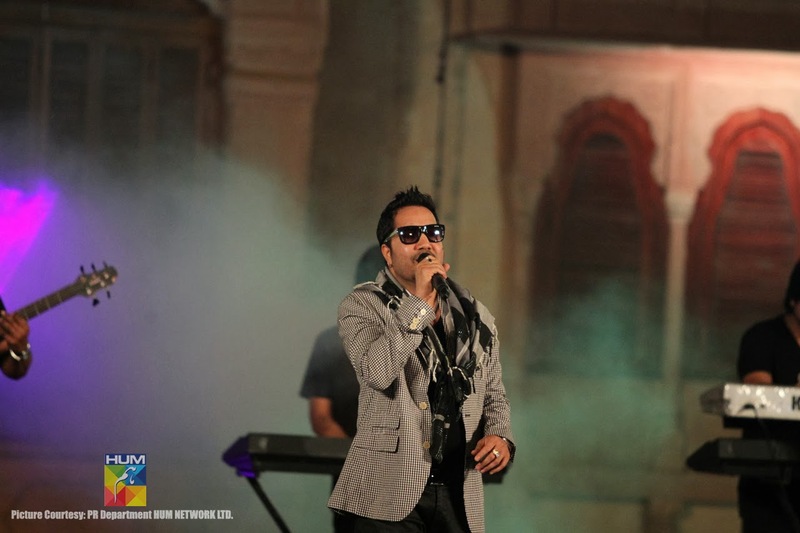 Singh then emerged on stage singing ‘Tu teray agal bagal hai’ followed by ‘Lal meri pat’. 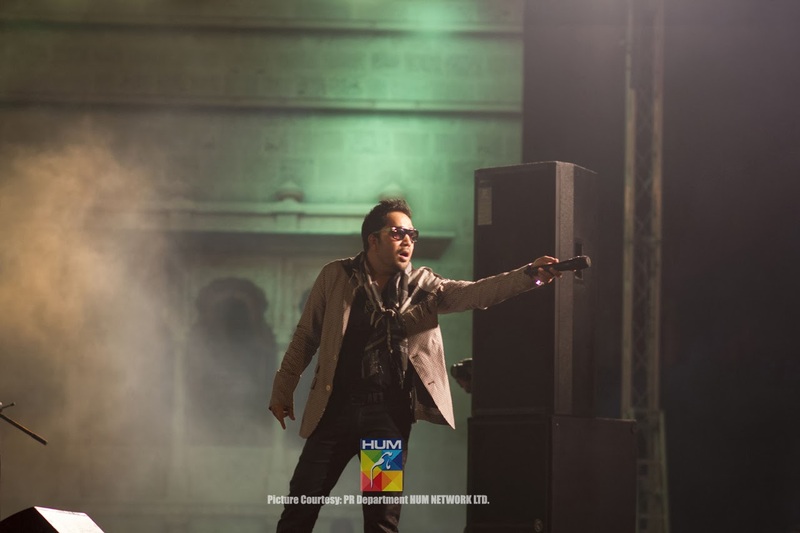 Then he broke into a medley – the first of many to come – in which he sang both Pakistani and Indian famous numbers in a hip-hop style. 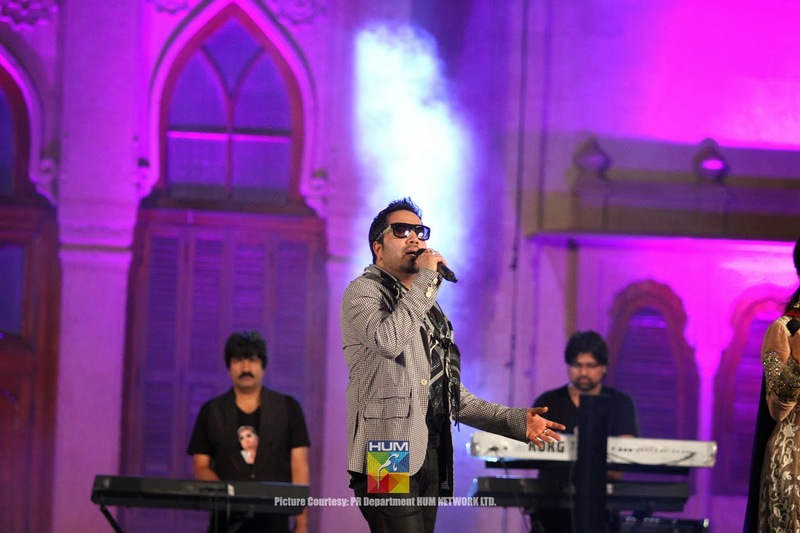 Constantly interspersing his singing with banter and little bits of information about himself, not to mention his adulation of Mehdi Hasan Sahib and Nusrat Fateh Ali Khan Sahib and his admiration for Atif Aslam and Ghulam Ali, he sang a Medley of ‘Dekha jo tujhay’, ‘Aray aray, mein toh gaya rae’ and ‘Hawa hawa’. 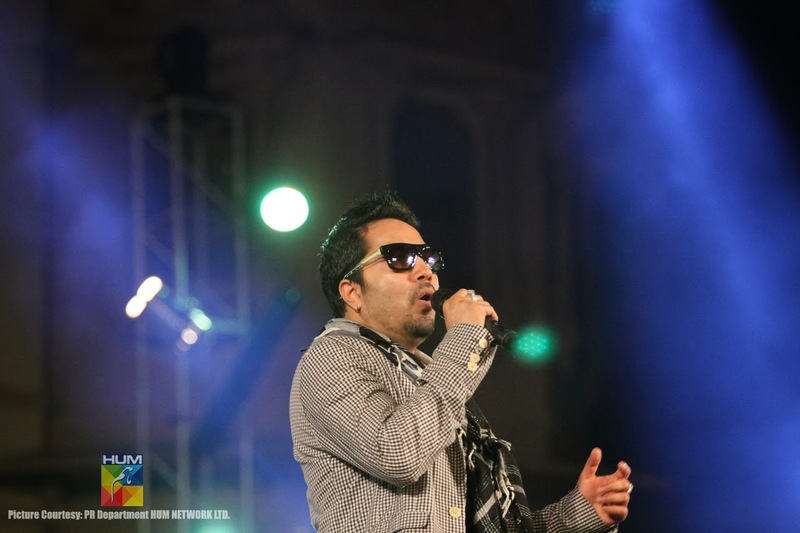 Singh’s rendition of ‘Mauja hi mauja’ had the audience screaming for more as he sang the number while break-dancing and gyrating about on sage. 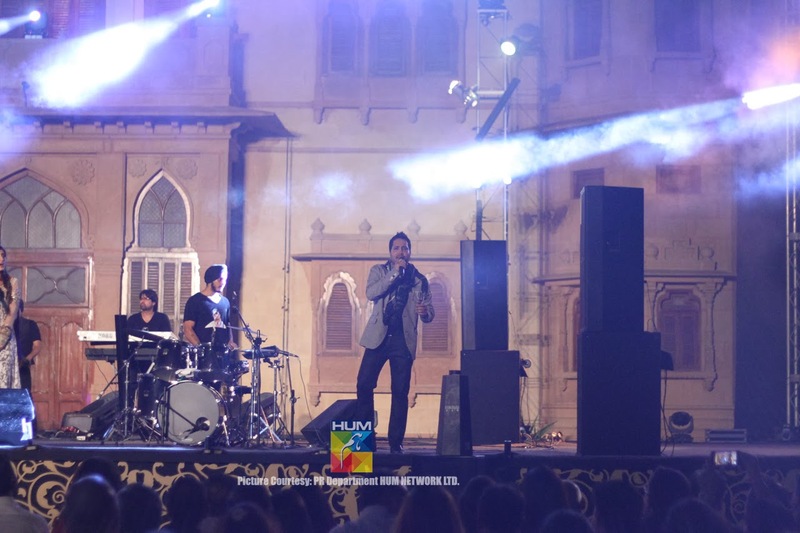 Bits and pieces from songs like ‘Apni toh jaise taise, Pyar ki Pungi baja kar, ‘Rani tu mein raja’, ‘Oh meri Zohra jabeen’, ‘Bara mahinay mein bara tareeqay say’, ‘Allah hu, Allah hu’, ‘Sweety tere pyar’, ‘Sona sona’ with words improvised by him in between to make it more Pakistan-relevant continued to mesmerize the audience. 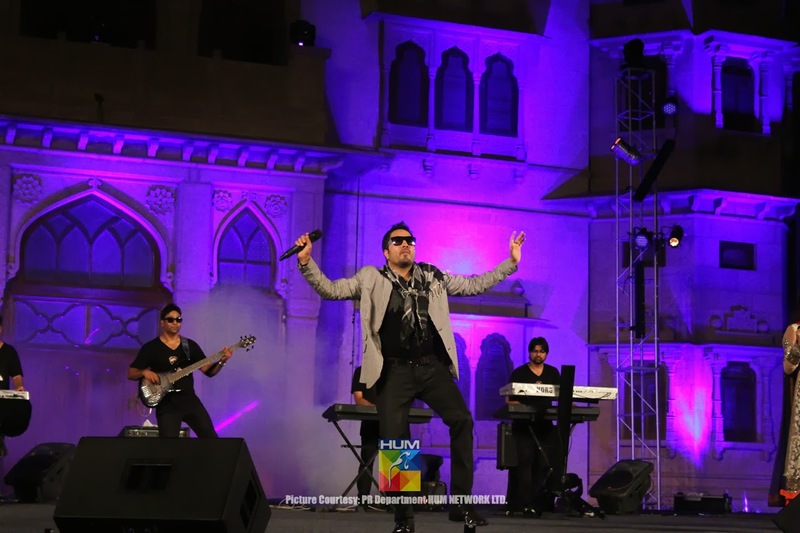 His display of his dexterity with all the instruments being played on stage, had the audience eating out of his hands while his tribute to Mehdi Hassan – his hop-hop version of ‘Ranjish hi sahi’ – Dev Anand, Shashi Kapoor and Rajesh Khanna (Yeh sham mastani) brought back memories of yester year. 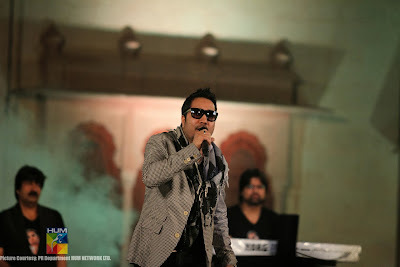 Among pieces from other popular numbers pelted out by the singer were “Singh is king’, ‘Tera honay laga hoon’, “Ibne Batuta’ , ‘Long drive pay chal meray soniyae’, ‘Laila ho Laila’ and ‘Dil jo pyar ka diwana’. 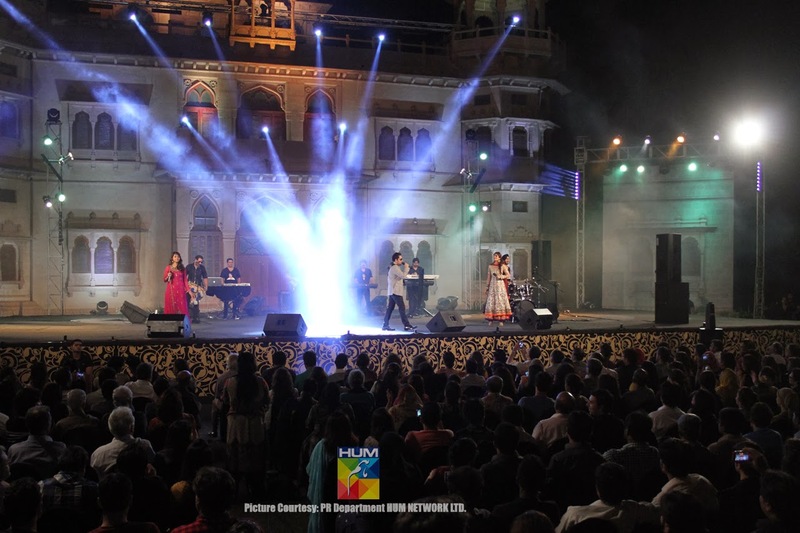 Fulfilling all requests hurled his way, he finally ended his non-stop performance of nearly two-and-a-half hours with the ever popular ‘Subha honay na dae’ bringing the magical evening to a close.